Following the success of their sold out show at London's KOKO Camden and last year's UK Festival Debut at Reading and Leeds, Highly Suspect announce their return to the UK for a huge show at British Summer Time Hyde Park. The show will take place on Thursday, 6th July and will see the three time-Grammy nominated band join a line-up of rock heavyweights, including Kings of Leon and the Pixies. Highly Suspect recently released the video for 'Little One', the second single from the band's critically praised sophomore album, 'The Boy Who Died Wolf', which debuted at #1 on the Current Alternative Album and #2 Rock Album on the Billboard Charts in the US. To date, the album has spent over 22 weeks on the Billboard charts. 'Little One', available via Columbia Records, is the follow-up to 'My Name Is Human' which spent 9 weeks at #1 on Billboard's Active Rock Chart, reached Top 15 at Alternative Radio and was nominated for a GRAMMY in the Best Rock Song category among legends like David Bowie, Metallica and Radiohead. You can watch the video HERE. Highly Suspect are currently on a sold-out US headline tour which wraps in Los Angeles in June. 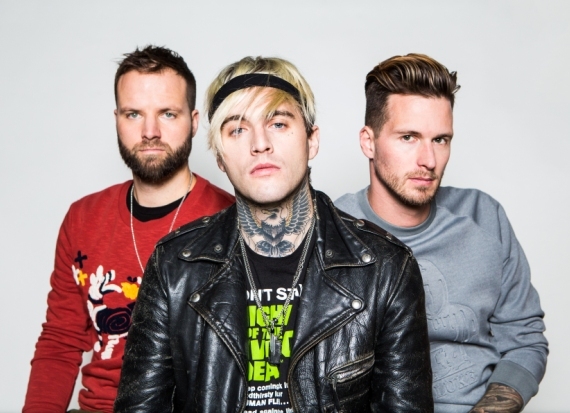 In addition, Highly Suspect will also be performing at a number if festivals over the summer, including Lollapalooza, Shaky Knees and Bottlerock. Highly Suspect: "My Name Is Human"
The video was directed by Marc Klasfeld, who has previously worked with the likes of Red Hot Chili Peppers, Foo Fighters & Jay-Z, and stars lead singer Johnny Stevens with Pretty Little Liars actress Chloe Bridges. 'My Name Is Human', taken from last year's 'The Boy Who Died Wolf' LP, has sat at #1 at rock radio in the US for a number of months and was nominated at this year's Grammys in the Best Rock Song category alongside legends David Bowie, Metallica and Radiohead. Highly Suspect are set to play a number of shows in the UK in March in support of 'The Boy Who Died Wolf', finishing with a headline show at the infamous KOKO in London which is set to sell out imminently.